If your house is anything like mine, it’s got a laundry basket on the landing. Washing is a chore that’s never quite complete. A bit like cleaning your data. 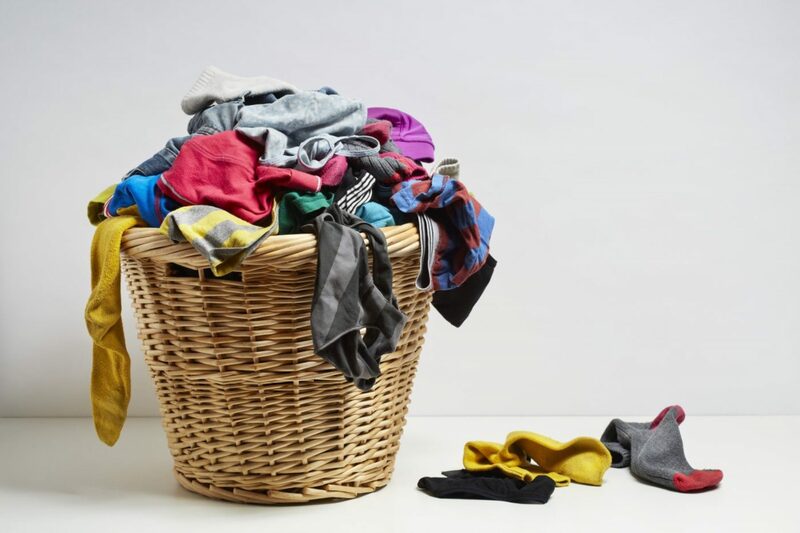 If you have a teenager at home, you’ll have an endless stream of washing to work through, and you’ll be forever picking up more from the floor of their room. There are various ways to tackle an overflowing laundry basket, but some are more sensible than others. How do you keep yourself in clean pants without blowing your household budget? And what on earth has this got to do with data? You could do nothing – and stink! The first approach to laundry is a favoured method of students all over the country. You could just turn your t-shirt inside out, sigh a big sigh of relief, and risk wearing that fruity garment for a couple more days. Eventually, you’ll smell pretty interesting to your housemates… and that pile of laundry won’t be getting any smaller. Hands up who’s ever washed their socks in the hotel sink. Or perhaps you’ve gone back to nature and taken a bin bag full of your clothes down to the river’s edge where you can bash your clothes on a stone or a washboard. Sure, this method MAY get your clothes clean (you’ll never be 100% certain), but it isn’t the most sensible way to spend your free time (or your money). In the same way, you could pick through your data manually – if you have weeks to spare. Can you risk putting so much manual effort into such an important task? Can you be sure you won’t miss anything? Hand your dirty washing to the dry cleaner, and they’ll hand back a gleaming, clean bundle of garments. But for what cost? There’s a good reason that most of us only dry clean our most valuable, formal clothing: it’s extremely effective, but it gets expensive fast! In our parallel data quality universe, the dry cleaner is the equivalent of the data bureau: a convenient, yet costly, way to clean your data. Wouldn’t it be better to achieve great ROI by doing the cleaning yourself? If you’re the sort of person who buys a new car each time the floormats need a shake-out, then this might be the option for you. You probably say “what, this old thing! ?” when someone compliments you on a new suit, and then it’s packed off to the charity store as soon as the next one is delivered to your door. In our parallel data quality universe, there are those who fear the perceived complexity of cleaning data. So they just buy more data. Data vendors love these people. To be fair, they are massively contributing to the economy! Just use your washing machine! 97% of homes have a washing machine, and for good reason. It’s a convenient, cost effective way to clean. When it comes to cleaning your data, the DIY route is our preferred option, too, and we can prove that DIY saves you money. DQ Global’s Dedupe Express software is our take on a self-service washing machine for data. It offers convenient, do-it-yourself data cleansing at a manageable cost per line. Just connect it into your database and let it get to work, scanning your text files, spreadsheets, applications or CRM for duplicated or error-ridden data. Dedupe Express contains the same logic as our DQ Match product, so you can trust in its accuracy; the key differences are explained here. Dedupe Express is quick and intuitive, and it lets you control your spend on data maintenance without forcing you to carry out lots of manual verification. If your data bureau charges around £3.00/000’ i.e. 0.3p to dedupe each record – a typical rate – imagine your ROI when Dedupe Express, saves you lugging your dirty data to the bureau (dry cleaners) putting the returned clean washing away (updating your database) when you can wash your data as many times as you like per year for an initial spend of just 0.6p a record.